Professional graphic designer Chipp Kidd has designed many a movie poster and book jacket. He’s even written a few novels. And now he’s thrown his hat into the nonfiction ring with this dynamically designed and content-rich guide to graphic design. Filled with top notch information in an easily digestible format, Go! has a lot to offer. Examples of Kidd’s (and others) graphic design work clearly model various design principles and interesting – often humorous – sidebars provide great context and further information about specific design choices. My favorite part of the book, though, are the 10 design projects modeled at the end of the book, which call upon readers to put all of their newly gained knowledge into practice in fun and purposeful ways. A terrific choice for budding artists and designers. I showed this gem to the chair of our MS Art department and she absolutely loved it. We chatted about the possibility of creating a year-long curriculum centered around design principles and using Kidd’s book as the textbook for one of the MS art classes. Go! 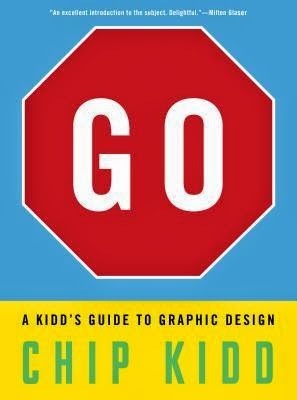 A Kidd’s Guide to Graphic Design was a finalist for the 2014 YALSA Excellence in Nonfiction for Young Adults Award.